JAMB speaks on Universities’ cut-off marks, admission criteria – Royal Times of Nigeria. 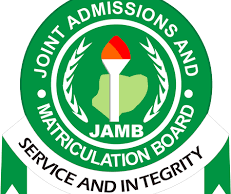 The Joint Admissions and Matriculation Board (JAMB) says it has established new methods of admission. JAMB, in a statement signed by its Head of Public Relations, Mr Fabian Benjamin, in Abuja on Sunday, explained that it was to ensure fairness irrespective of tribe, religion, and that it was determined to meet the expectations of Nigerians. Benjamin revealed that the Board had held consultations with universities across the country to enable candidates meet the requirements and secure admission without the assistance of anybody. He, however, made it clear that cut-off marks will be decided at a policy meeting. Benjamin stated: “Do not allow yourselves to be defrauded by internet fraudsters, the policy meeting would commence the 2017 admission with all mode, process and acceptable conditions for admission. “The admission criteria would be keyed into the software and it will select candidates blindly according to the institutions requirement without any primordial consideration,”.